35" Wide, 72" long...34 strands hanging from one white rod. Already strung and ready to hang up! Beautiful Silver Acrylic Diamonds! 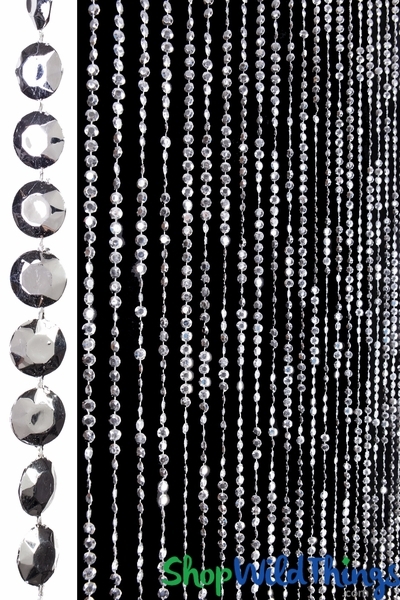 This fabulous Silver Diamond beaded curtain has faceted beads. 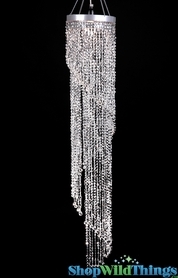 You'll be thrilled with the way that it picks up the light and sparkles no matter which way the beads hang! 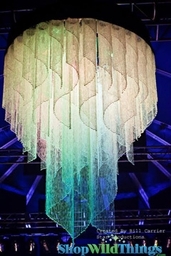 This Diamond Cut curtain is a favorite for our designers for events and music videos because of this "sparkle factor". We have a lot of customers who put these in front of regular curtain panels. Our wonderful heavy-duty acrylic beaded curtains are a perfect addition to any room! Use in the place of regular doors, closet doors, or behind a bed to add height to any room! B-E-A-utiful! 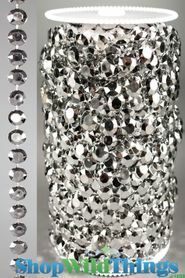 Diamonds Silver Beaded Curtain is perfect! Exactly what I was hoping for, and a great room divider! Lots of sparkles. Beautiful. Do not easily tangle. ConsThe rod they hang from is kind of cheap looking. I covered it in the silver mesh rhinestone ribbon (cut to size). We purchased this to accent the hanging chandeliers. ProsVery beautiful-buy two for double doorway. 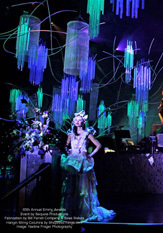 Conswhite bar-although we could cover if needed. Love the way the light reflects off of the "Diamonds"! 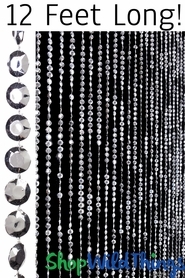 These are truly high quality beaded curtains...I need another few to ensure we create the glamorous effect we are looking for. Thank you! I was very pleased with this purchase I put the beaded curtain in the middle of black string curtains I also ordered. 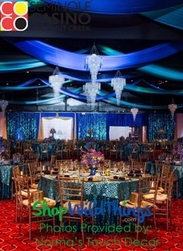 The beaded curtain is beautiful it twinkles and sparkles like diamonds and is made very well. The string curtains are also good quality they were packaged well, they were not tangled and very easy to hang. I have already received multiple compliments. It was a pleasure doing business with this company and I look forward to future purchases. Excellent sparkle. Very nice quality. Quick shipping. We were very pleased with this company. My grandaughter LOVES these and they were a snap to hang. 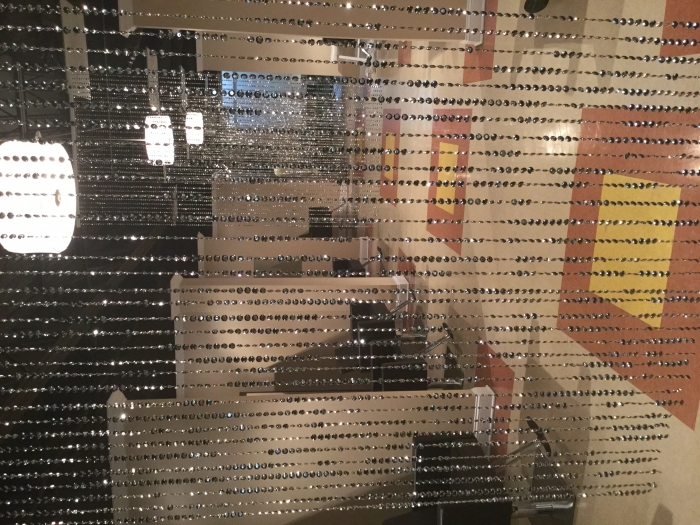 We are really happy with the quality of the beaded curtain. 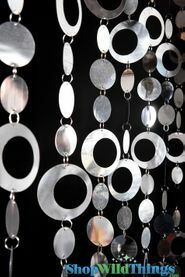 It gives off great sparkle & works well for us in our photography studio. For the price, you really can't beat it! Just loved it. We used it for my 50th birthday in which we had a disco set up in the garage. We set the curtain up in the doorway leading into the garage. It was so cool!! I love the way the beads shimmer in the light. I LOVE this curtain I'm very happy with it it's worth the money I think everyone should check it out. you won't be disappointed. 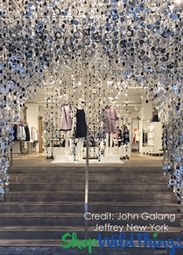 I purchased these curtains for use in an instore display. They have many facets and really twinkle under the fluorescents. Many customers have commented on them and several want to purchase them. Definitely worth the money. 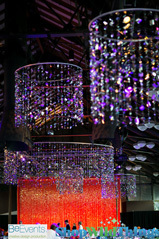 we paired them with the crystal diamond cutains in the 12" width for variety. ConsI could have used them in a 9' length. Lovely and easy to install. i needed the item i ordered and needed it in a weeks time. came quickly and the product was great quality. 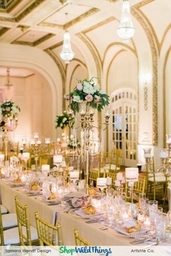 satisfied with the price and tne service we received.